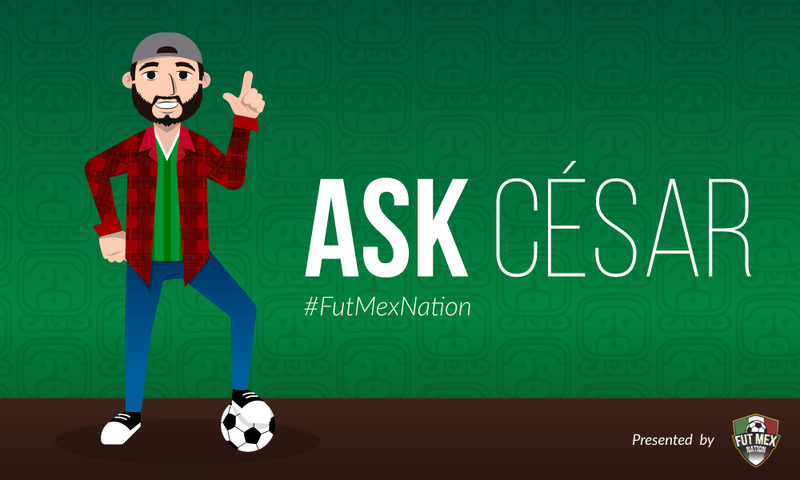 #AskCesar: Mexico predictions, Pulisic and (of course) tacos! #AskCesar is back! If you wan’t to join next week’s article, just send me your questions on Twitter every Thursday. I select three questions for a video preview and then answer the rest right here. Let’s see what we have this week! Why should everyone listen to your new Xolos podcast? Because if you have any interest regarding Xolos you will love it! Maybe, maybe not. Maybe you’ll hate it. Maybe it’s the worst podcast you will ever listen to. Only one way to find out. Also, I think there’s a genuine need for more Liga MX team-specific podcasts in English. Hoping more start, I would love to listen to more. It all depends on your perspective. If you’re only looking at this as a fan of El Tri, the USMNT failure is clearly a good thing. That said, I think a strong USMNT is vital for Mexico. It provides much-needed competition in the CONCACAF region. Like the rivalry between MLS and Liga MX, having a strong rivalry supports growth and improvement. What’s your opinion on Mexico’s performance so far in the U-17 World Cup? I’m not going to lie, I haven’t had a chance to watch the first two games! Looks like Mexico still has a chance to qualify for the next round but the team will probably need a win in the final group stage match. Would you trade Guti and Chucky from Mex for Pulisic? I would trade either of them for Pulisic but definitely not both. Lozano is an exciting prospect and rising star for the national team, but Pulisic is still better. Where do you think USA will finish in their group? I assume you’re talking about the U17 World Cup and not the Hex haha. As mentioned earlier, I haven’t been following the U17 World Cup but it looks like the USMNT has already secured a place in the next round. Yeah, I think it’s tough to find a spot for Gio in JCO’s current setup. With El Tri, he’s best as a second striker/central attacking midfielder, but there sometimes isn’t that spot available in a 4-3-3 or 3-4-3. JCO then places him in the midfield, but like you said, I would prefer to see him as a winger instead. That is assuming he’s needed as a backup, at the moment, he hasn’t proven he is worthy of a starting role. Will Rodolfo Pizarro and Orbelin Pineda be on the WC roster? I’m hoping JCO gives them an opportunity to shine before the World Cup, but I think there will only be room for one. I’ll go with Pizarro sneaking in the final roster for Russia 2018. Will De Maria be forced to retire if/when Mexico fails to get past group stage in WC due to not making a change to JCO? Did you want the US to make it? How’d you take care of yourself this week? I went on a few jogs, drank green tea and made a genuine effort to ditch my phone every now and then. Better idea: Start a taco podcast. Each episode is about a specific spot and your favorite taco there. I would listen! Does pinable belong on a pizza? #AskCesar do you believe laniez could be a surprise in the World Cup roster for 2018? I recently wrote an article predicting that he would be in the starting XI for Mexico in 2022, but for 2018, I don’t think there will be space for Lainez in the roster. Who is the best u23 mexican striker? That’s got to be either Ronaldo Cisneros or Roberto De La Rosa. For now, I’ll go with Cisneros because he has more experience. I’m convinced that Negra Modelo is one of the best beers to drink while having any meal. Negra Modelo. Will mexico make it out of the group stage? I know I said earlier that we need to wait for the draw in December, but I think Mexico will make it into the knockout round. I have plenty of faith in a potential starting XI with options like Chicharito, Lozano, Tecatito and Guardado. Any good matches we should watch on the weekend? Maybe El Clásico Joven? Any predictions? I’m currently wrapping this up as we speak in the Estadio Caliente for Xolos vs Veracruz, but I’m not sure how good this match will be haha. Clasico Joven is a must-see and so is Monterrey vs Pachuca. I’ll go with a draw in the Clasico and a narrow win for Monterrey. Does Mexico have the possibility to reach the “quinto partido” in the WC? 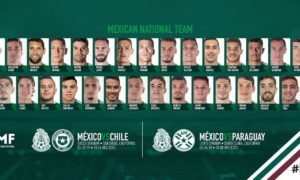 Mexico does, and considering the fact that this might be the last World Cup for several talented players at their peak, this might finally be the World Cup in which El Tri reaches that goal once again. It might not be the classiest tequila, but I’ve always thought that the Centenario bottles look really cool. It has an interesting art deco vibe. Who will be the biggest World Cup roster snub for Mexico? 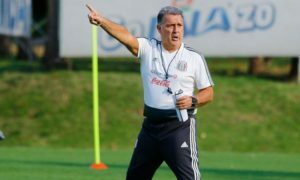 A youngster like Erick Gutierrez, Cesar Montes, Rodolfo Pizarro or Orbelin Pineda isn’t going to make the roster and plenty of people are going to be furious. I think it might be Orbelin. If latin america & the caribbean were one national team, who would be in the starting Xl and would they win every world cup? Oh man. I need like 3 hours to think about this one. All I know though, is that we would definitely be one of the favorites to win it all. 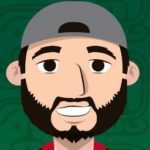 #AskCesar: 2018 Mexico predictions, Big Fish and Chivas.